Sue Ahmed is a senior IT sales executive with over 35 years of experience in sales and services in the computer industry. Her career includes sales administration, account management and sales management with Digital Equipment Corporation, Compaq Computer Corporation and Hewlett Packard Corporation. 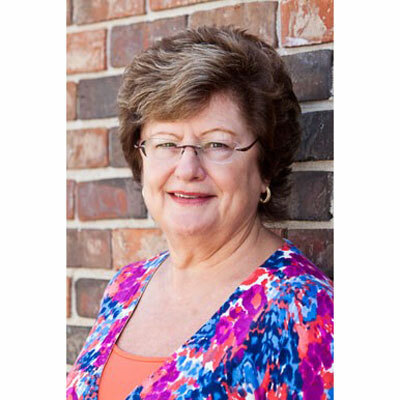 Upon taking early retirement from HP, Sue joined Carotek, an exclusive HP value added reseller in the southeast, as a Sales Executive with specialized focus on Services and the Healthcare market. Following Carotek's acquisition by Logicalis, Inc, a National IT solutions integration company, Sue worked as a Sales Executive in new account development. She left that position in May 2009 to join Edge Solutions as a Sales Executive responsible for accounts in the Carolinas, and Services VP focused on development and implementation of a Services strategy for the company. The rapid changes in how clients implement and use technology to run their enterprises has required businesses like Edge Solutions to become more services-led in the solutions we offer. The efforts over the past 8 years to build and implement a Services Practice has had a significant impact on our ability to more easily transform the company by taking advantage of partnerships that have already been established and tested and business practices that have already been developed. These, along with invaluable experiences in determining what services have the highest likelihood of success for us, are helping position Edge to meet the challenges of change. With our change in focus and its corresponding emphasis on ability to deliver quality service engagements, we are expanding our practice and have added a director to manage resources and repeatable opportunity development. My goal as the VP of Operations is to enable sustained growth through developing new partnerships, handling staffing augmentation and standardizing agreements to facilitate the closing business and mitigating risk to the company. I greatly admire Ina Garten. She had the vision to reinvent herself leaving a successful career behind to pursue her passion - cooking- and developing that into a very successful business. Through her books and TV series, with simple, easy to execute recipes and instructions, she enables anyone to be a great hostess. To have a successful career in technology - whether in sales, development, support or management - you have to be able to embrace change and be prepared to be constantly learning. You should be excited by how technology makes for better business or human experience and want to play a role in making that a reality. Playing Queen Elizabeth (as portrayed by Helen Mirren) would be a great one day! The way she was/is able to deal with any crisis and maintain the devotion of her people is so admirable. Plus, it's always good to 'be the Queen'! As an avid SCUBA diver, I would really love to go to Male', the capital city of the Maldives. The open water diving in the Indian Ocean there is reputed to be the best in the world. I've dived the Great Barrier Reef, the Bahamas, Utila, Bonaire and the west coast of Mexico. The Maldives beckons.